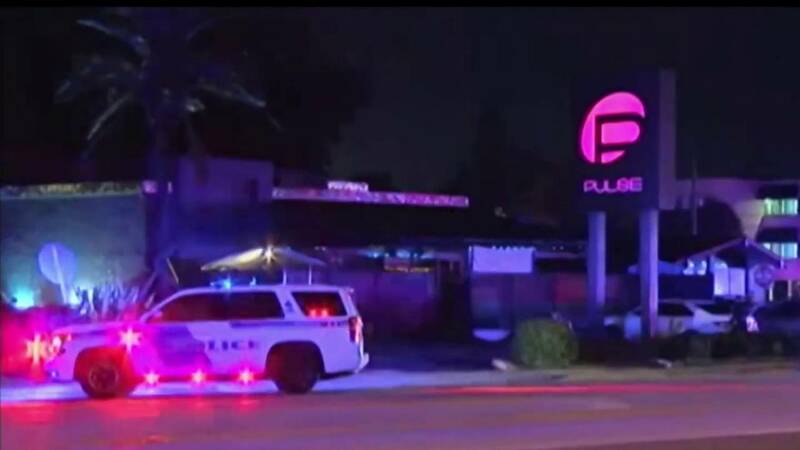 ORLANDO, Fla. - The Orange-Osceola State Attorney's Office has cleared all law enforcement officers who fired their weapons during the Pulse shooting on June, 12, 2016, a shoot review by the office found. Click here to read the details of that report. Pulse survivors said Tuesday they have been asked to be at Orange-Osceola State Attorney Aramis Ayala's hastily called news conference Wednesday in the ballroom at Rosen Plaza. Ayala said nothing further about the press conference. Orange County Sheriff John Mina, the former Orlando Police Chief who commanded the response to the shooting at Pulse nightclub, confirmed to News 6 he will be there. High-profile defense attorney and former News 6 legal analyst Mark O'Mara also confirmed he will attend. "We have to presume she [Ayala] has an announcement to make, and it's going to be something about the findings that they've gotten either from the FDLE [Florida Department of Law Enforcement] investigation itself, which is complete, or the FBI investigation, which we have to presume is complete because it shouldn't take them that long," O'Mara said. O'Mara said he's expecting to learn who opened fire, when and how. The FDLE said earlier this year it had completed its investigation and turned over its findings to Ayala's office for a review of use of force. Ayala had said her office, however, would not begin to review the officers' actions until it received the FBI's final investigative report. The FBI said earlier this year it is no longer conducting interviews or analyzing evidence but is continuing "the process of addressing a wide variety of administrative case requirements, such as the return of evidence." O'Mara believes the FBI report is now complete. By comparison, the FBI investigative report into the mass shooting on the Las Vegas strip, which occurred in 2017, a year after the Pulse Nightclub massacre, was completed last month. "I think because of the massive loss of life, the FBI wants to make sure they do everything perfect -- cross every t and dot every i. And let's not forget the FBI has been under some scrutiny lately with investigations in other cases," O'Mara said. "The forensics in this case [Pulse] were outrageous, as well, because there was a lot of death in a very small area with police involvement as well. Obviously, Vegas was very similar -- even more forensics, but in the tighter area, I think sometimes that requires more." O'Mara said a review of use of force is necessary but expects the officers who responded to the nightclub shooting will be found to have acted appropriately. "There was a horrific war-zone and I think it'll turn out that law enforcement acted the way they were supposed to. I really believe that from my understanding of the case," O'Mara said. "But the idea of doing an investigation, a review to make certain of that, not only for the peace of mind to those people who suffered that night, but so we maintain that respect so when it happens again we have the respect and trust to place in law enforcement." O'Mara said it was time to close the investigation. "I'm glad they took their time, but it's now time to put this to rest and get the information out to the public," O'Mara said. "Just like law enforcement has the right to know their response was appropriate, now we get to know that law enforcement acted properly."